The orchestra is comprised of students of the General Secondary Music School and the State Secondary Music School. The orchestra’s makeup and sound changes with new generations of students who perfect their skills, giving the ensemble an individual touch and unique character sculpted by the conductor in charge. Over the years, the orchestra was led by many teacher-conductors: Jan Wołowiec, Tadeusz Chachaj, Stanisław Szabat, Stefan Ząbek, Andrzej Jakubowski and Andrzej Szypuła. Since 2006, the school orchestra has been led by Robert Naściszewski – concert master of the Artur Malawski Podkarpacka Philharmonic in Rzeszów and violin teacher in the Fryderyk Chopin Music School Complex no. 1 in Rzeszów. Under Naściszewski’s direction, the orchestra has managed to implement an extensive, ambitious program of works. These include Schubert’s Symphony in B minor, Dvořák’s Slavonic Dance in G minor, Lutosławski’s Little Suite, Kilar’s Polonaise, Tchaikovsky’s Polonaise from the opera “Eugene Onegin”, the Valse from the ballet “Swan Lake”, the Suite from Bizet’s opera “Carmen” and Szymanowski’s Etude in B-flat minor. The orchestra has also played works together with soloists and choir. These include Mozart’s Coronation Mass, the Grand Mazurka from Moniuszko’s opera “The Haunted Manor”, Fabrez’ “Boleras sevilianas”, Chopin’s Piano Concerto in E minor and Loewe’s “I Could Have Danced All Night”, arranged by Tomasz Chmiel. 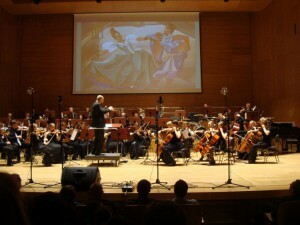 A concert entitled “Film music” enjoyed great popularity. The program consisted of the romantic valse from the movie “Noce i Dnie” [Nights and Days], as well as music from the movies “Gladiator” and “Pirates of the Caribbean”, arranged by Tomasz Chmiel. Robert Naściszewski’s baton wonderfully mobilises the students in both of our secondary music schools. 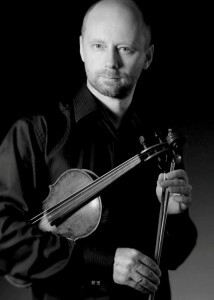 Musician, violinist, concert master in the Artur Malawski Philharmonic in Rzeszów since 1 September 1994. Naściszewski also performs as solo violinist and conductor with the Philharmonic Symphony Orchestra. The artist participates in many of the Philharmonic’s activities: concert tours in Poland and abroad (France, Spain, Sweden, the United States), recordings and music education for school children in Rzeszów and in the Podkarpackie voivodship. Robert Naściszewski’s artistic activities are not limited to work at the Philharmonic. He is also actively involved in initiating and popularising chamber music projects, having established the “Kameraliści Rzeszowscy” [Rzeszów Chamber Players] String Quintet, which operates under the auspices of the “Musicus” Society. The ensemble gives regular concerts in Rzeszów and in the Podkarpackie voivodship, at the Music Festival in Łańcut, at the Jewish Music Festival in Cracow, the B. Huberman Violin Festival in Częstochowa and, most recently, at the 27th “Talent Week” National Festival in Tarnów/ Kąśna Dolna, the “Tempus Paschale” Festival in Lublin and the 8th European Festival in Otwock. Robert Naściszewski is also a teacher in the Music School Complex no. 1 in Rzeszów, where he has headed the violin class for many years and the symphony orchestra since 2006. His graduates successfully continue studies in music academies and the orchestra under his direction has enjoyed success at such events as the “Youth to Our City” concert cycles, organised for the city and the region. Robert Naściszewski’s artistic output has been honoured with the Podkarpackie Voivodship Authority Award for overall artistic achievement and for dissemination and protection of culture. He has also received awards of the director of the Rzeszów Philharmonic in 1995, 2000 and 2007, the award of the Mayor of the City of Rzeszów in 1998 and the award of the Rzeszów Voivod in 1996.